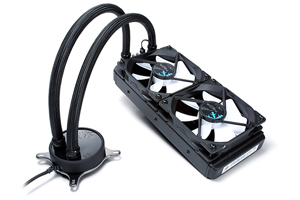 For true enthusiasts, the satisfaction of a clean and efficient build can never be overstated, and the Celsius makes this easier than ever with an integrated fan hub and concealed cable routing options. 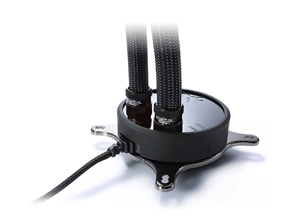 Ceramic pump bearings and internal sound dampening ensure dependable operation at a near inaudible 20dB noise level. 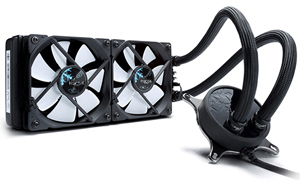 An intelligent temperature-controlled auto mode adjusts fan and pump speeds in real-time for optimum balance of cooling performance and silence, while PWM mode enables precision manual tuning for any usage scenario. 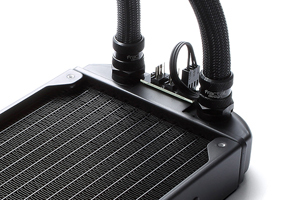 All fan cables are fully concealed from pump to radiator, simplifying cable management for a clean looking installation. 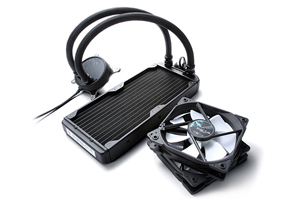 Durable metal fittings with standard G 1/4" threads offer maximum compatibility, allowing easy integration of additional cooling components such as custom graphics card water blocks. Low permeability rubber tubing with nylon braided sleeves maintain loop integrity and cooling effectiveness over years of continuous usage. A wide speed adjustment range from 500 to 2000 RPM allows for silent operation under lighter loads and maximum airflow during heavy usage. 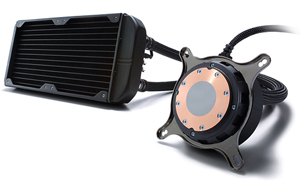 A solid copper cold plate works in parallel with aluminum radiator fins to pull heat from components and remove it from the system with maximum efficiency. 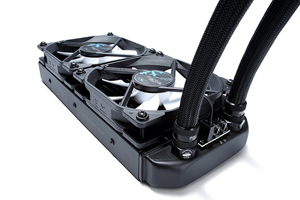 The Celsius is ready to go with perfect thermal paste coverage right out of the box. 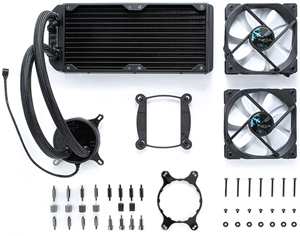 Simply select the appropriate mounting hardware for your CPU socket, remove the cover and install.